You are currently browsing the tag archive for the ‘extraction’ tag. How much do the world’s poor pay for microfinance? Microfinance … performs both financial intermediation and financial innovation … it intermediates across time and space by creating entitlement relationships that reach from now into the future and from capital providers to borrowers. It innovates in generating new financial technologies which bring fresh borrowers into connection with capital-providing actors who can pursue not only financial goals, such as rapid turnover and growth of capital via above-market interest rates, but even quasi-charitable ideals. 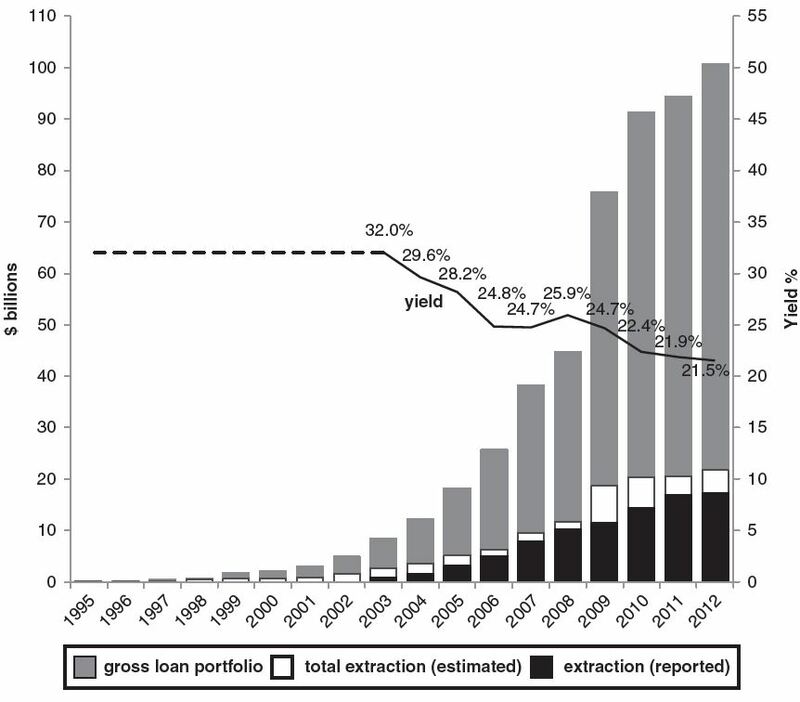 The microfinance industry has developed (and continues to develop) technical means for channelling substantial quanta of capital directly to people living without collateral or assets at the bottom of the global income scale, technologies including group lending, social collateral, standardization and computerization, ratings of MFIs, and securitization of loan portfolios. The growth and stability of global microlending, at between 17 and 78 per cent annually during 2002–2009, and 10 per cent on average since then, both demonstrates the resulting system’s efficacy and indicates that capital-owners expect it to be durable.